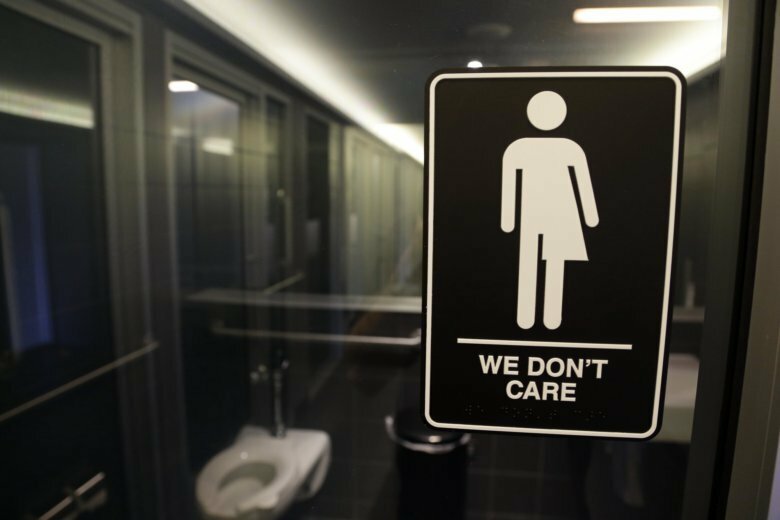 RALEIGH, N.C. (AP) — A lawsuit challenging the replacement for North Carolina’s “bathroom bill” is moving forward, with a judge finding evidence that transgender plaintiffs are being harmed by a prohibition on new local antidiscrimination laws. Schroeder sided with plaintiffs’ arguments that the current law, known as HB142, largely thwarts their efforts to seek new LGBT protections. “While HB142 does not prohibit Plaintiffs’ efforts at advocacy, it plainly makes them meaningless by prohibiting even the prospect of relief at the local level,” the judge wrote in his ruling late Sunday. He said transgender residents had shown evidence of harm from this pre-emption of new local ordinances. But one reason the judge rejected their argument about uncertainty over restroom access, the plaintiffs noted Monday, is because he interprets the current law as allowing them to use restrooms matching their gender identity. That’s helpful to transgender people, plaintiffs say, because even under the replacement law, many have feared retribution if they use what others might perceive as the wrong bathroom. A lawyer for the plaintiffs, Chris Brook of the American Civil Liberties Union, issued a statement that the judge’s decision doesn’t account for harm already done under the “bathroom bill” and its replacement, but the ruling allows them to continue fighting in court. Also, he says, the judge’s interpretation of the current law should help transgender people go about their daily lives. “By making clear that transgender people in North Carolina cannot be barred from using public facilities that match their gender identity, this decision lessens some of the harm that has been caused by these laws,” he said. A spokesman for Republican state Senate leader Phil Berger said the leaders were still reviewing the decision and had no immediate comment. State legislative leaders had argued the lawsuit should be dismissed because plaintiffs couldn’t prove they’re still being harmed by the current law. After the original “bathroom bill” was enacted in 2016, companies halted or delayed plans to bring thousands of jobs to North Carolina in response to a boycott campaign. Major sporting events pulled out of the state.